Beautiful Emma Rouault yearns for the life of wealth, passion, and romance she has encountered in popular sentimental fiction, and when her doctor, the well-meaning but awkward and unremarkable Charles Bovary, begins to pay her attention, she imagines that she may be granted her wish. However, after their marriage, Emma soon becomes frustrated with the boredom of provincial life and finds herself seeking escape and contemplating adultery. As Emma's efforts to make a reality of her fantasies become more dangerous, both she and those around her must face the shattering consequences of her actions. 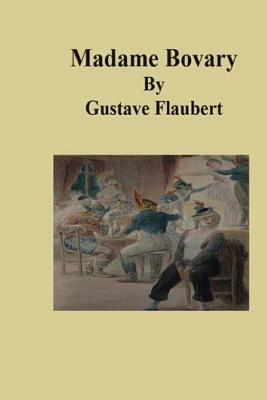 Causing widespread scandal when it was published in 1857, Gustave Flaubert's masterpiece is one of the landmark works of 19th-century realist fiction. Gustave Flaubert (1821-1880) is regarded as one of the greatest novelists of all time. He is best known for his works "Madame Bovary" and "Sentimental Education," and for his stylistic perfectionism. Christopher Moncrieff has previously translated the work of Jean-Euphele Milce and Victor Hugo.